B.P. Marsh & Partners PLC is a specialist private equity investor in early stage financial services business and will consider investment opportunities based in the United Kingdom, Europe, North America and Internationally. It is to be noted that the updated NAV per share figure is calculated on the basis of the Company’s enlarged issued share capital figure excluding the 1,461,302 shares held under the JSOP arrangements (announced on 13 June 2018) as these are currently non-dilutive. The investment and disposal of Besso is an example of B.P. Marsh’s successful strategy and business model. In April 2016 the Group invested in Asia Reinsurance Brokers Pte Limited, the Singapore headquartered independent specialist reinsurance and insurance risk solutions provider. ARB was established in 2008, following a management buy-out of the business from AJ Gallagher, led by the CEO, Richard Austen. 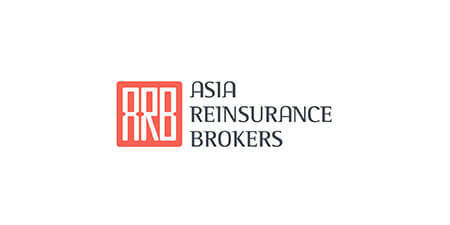 ARB specialises in the provision of long-term reinsurance and insurance solutions to a wide range of insurance and reinsurance companies throughout Asia and is a fully registered insurance intermediary with the Monetary Authority of Singapore. It has offices throughout the region, including Singapore, Malaysia, the Philippines and Indonesia. On 10th July 2018 the Group invested in ATC Insurance Solutions, the Melbourne headquartered MGA and Lloyd’s Coverholder. ATC specialises in Accident & Health, Construction & Engineering, Trade Pack and Sports insurance. The company was established in 2006 by Chris Anderson, CEO. In December 2014 the Group invested in Bastion Reinsurance Brokerage (PTY) Limited (“Bastion”), a start-up Reinsurance Broker based in South Africa. Established in May 2013, by its CEO and Chairman, Bastion specialises in the provision of reinsurance solutions over a number of complex issues, engaged by various insurance companies and managing general agents. In April 2015 the Group, alongside its existing South African Partners, established a new venture, Bulwark Investment Holdings (PTY) Limited (“Bulwark”). Bulwark is a South African based holding company which establishes Managing General Agent in South Africa. To date Bulwark has established two new Managing General Agents, Preferred Liability Underwriting Managers (PTY) Limited and Mid-Market Risk Acceptances (PTY) Limited. In February 2017 the Group subscribed for a 35% stake in Paladin NewCo Limited, which in turn acquired 100% of the equity in CBC UK Limited (“CBC”). Established in 1985, CBC is a Retail and Wholesale Lloyd’s Insurance Broker, offering a wide range of services to commercial and personal clients as well as broking solutions to intermediaries. The Group assisted in an MBO of CBC allowing Management to buy out a major shareholder. In July 2018 the Group invested in Criterion Underwriting (Pte) Limited (“Criterion”), a start-up Singapore based MGA, alongside the Group’s current partners in Asia Re Holding (Pte) Ltd & Asia Reinsurance Brokers (Pte) Ltd. Criterion provides specialist insurance products to a wide variety of clients in the Cyber, Financial Lines and Marines sectors in Far East Asia. Criterion’s Management team is led by CEO Jonathan Ranger, who has over 25 years of experience in the insurance industry. Prior to establishing Criterion, Jonathan worked in a number of senior management roles at Munich Re and Swiss Re in Singapore. In December 2017, the Group invested in EC3 Brokers Limited, an independent specialist Lloyd’s broker and reinsurance broker, via a newly established NewCo, EC3 Brokers Group Limited. Founded by its current Chief Executive Officer Danny Driscoll, who led a management buyout to acquire EC3’s then book of business from AJ Gallagher in 2014, EC3 provides services to a wide array of clients across a number of sectors, including construction, casualty, entertainment and cyber & technology. In November 2016, the Group invested in a recently established UK Marine Cargo Underwriting Agency. Established by its CEO Gerry Sheehy, Fiducia is a registered Lloyd’s Coverholder which specialises in the provision of insurance solutions across a number of Marine risks including, Cargo, Transit Liability, Engineering and Terrorism Insurance. Gerry was a founding shareholder and Executive Director of Northern Marine Underwriters (“NMU”) and played a pivotal role in building that business up significantly before his departure in September 2015. In April 2007 the Group invested in LEBC, an Independent Financial Advisory company providing expert financial advice to individuals, corporations and partnerships, principally in corporate pensions and risk benefits, personal retirement planning and investment. LEBC was established in 2000 with four branches and now has a network of branches throughout the UK. LEBC is a national company providing expert, and independent financial advice to all its clients. In October 2017, the Group invested into Mark Edward Partners LLC, a New York based specialty insurance broker offering a wide range of risk management services to both commercial and private clients. Founded in 2010 by Mark Freitas, its President & Chief Executive Officer, MEP provides core insurance products in Financial & Liability, Property & Casualty, Personal Lines, Life Insurance, Cyber and Affinity Groups. In December 2013, the Group invested in MB Prestige Holdings PTY Limited ("MB Group"), the parent Company of MB Insurance Group PTY Limited, a Managing General Agent, headquartered in Sydney, Australia. MB Group is recognised as a market leader in respect of prestige motor vehicle insurance in all mainland states of Australia. In August 2014 the Group invested in Nexus Underwriting Management Limited (“Nexus”), the independent specialty Managing General Agency (MGA), founded in 2008. It now has five operating subsidiaries. Nexus Underwriting Limited provides Directors & Officers, Professional Indemnity, Financial Institutions and Accident & Health and Nexus CIFS Limited specialises in Trade Credit and Political Risks Insurance. Since the Group's investment in Nexus, a number of acquisitions have been undertaken, including EBA Insurance Services Limited, Millstream Underwriting Limited, Beacon Underwriters Limited, Huntingdon Underwriting, Altitude Risk Partners and Hiscox Flying Global. In June 2015 the Group completed an investment in Property And Liability Underwriting Managers (PTY) Limited (“PLUM”), a Managing General Agent based in Johannesburg, South Africa. PLUM specialises in large corporate property insurance risks in South Africa and is supported by both domestic South African insurance capacity and A-rated international reinsurance capacity. In January 2017, the Group invested in a recently established Specialty Casualty Underwriting Agency, based in Toronto, Canada. Established in 2016, by its CEO Stephen Stewart, SSRU provides specialist insurance products to a wide array of clients in the Construction, Manufacturing, Onshore Energy, Public Entity and Transportation sectors. SSRU’s CEO, Stephen Stewart, has over 25 years’ experience in the insurance industry. Prior to establishing SSRU, Stephen worked in a number of senior management roles at both Ironshore and Lombard in Canada. At Ironshore he was pivotal in developing and executing the strategy for launching the Canadian Specialty Property and Casualty division. In June 2013 the Group invested in Neutral Bay Investments Ltd, which in turn acquired a 39.47% stake in Sterling Insurance PTY Limited (“Sterling”). Sterling is one of Australia’s leading specialist underwriting agencies. It specialises in niche hard-to-place & complex risks. Sterling leverages its status as a Lloyd’s Coverholder alongside its strong local connections to provide Australian insurance brokers access to domestic and international insurance markets. The core team at Sterling operated as Sterling Insurance Brokers in the 1980’s & early 1990’s before being acquired by Heath Lambert. The team evolved their product offering to include other industries/sectors such as Railway, Mining & Engineering risks, and Professional Indemnity. In 2008 Sterling Insurance PTY Ltd was created as a result of a management buyout. Summa Insurance Brokerage, S. L.
In January 2005 the Group provided finance to a Madrid-based Spanish management team with the objective of acquiring and consolidating regional insurance brokers in Spain. Summa has acquired brokers in throughout Spain in 18 locations. Through acquisition Summa has been able to achieve synergistic savings, economies of scale and greater collective bargaining thereby increasing overall value. Summa continues to seek new opportunities in Spain. In December 2013 the Group invested in Walsingham Motor Insurance Limited (“Walsingham”), a new niche UK Motor Managing General Agency. Walsingham was established in August 2012 and commenced trading in July 2013. On 12th June 2017, the Group invested $6,000,000 for a 35% shareholding in the U.S. based specialty lines insurance distribution company, XPT Group LLC (“XPT”). The Group invested in XPT, through its wholly owned subsidiary company, B.P. Marsh (North America) Ltd. The Group backed the ex-Swett & Crawford CEO Tom Ruggieri and a strong management team to develop a wholesale insurance broking and underwriting agency platform across the U.S. Specialty Insurance Sector.